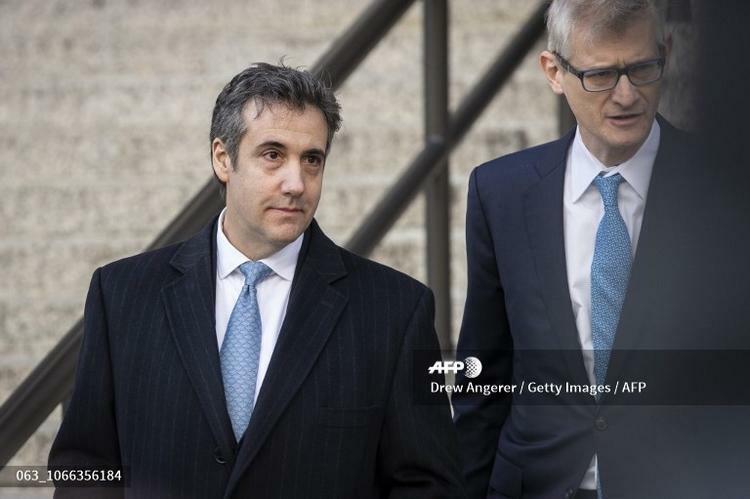 Washington (AFP) – US President Donald Trump called Monday for “a long prison term” after his ex-lawyer Michael Cohen admitted lying to Congress about pursuing a real estate deal with Russia on Trump’s behalf during the 2016 election campaign. He also repeated his accusation that Special Counsel Robert Mueller — who is investigating possible collusion between Russia and Trump’s campaign — is forcing witnesses to make up lies damaging to the president. “You mean he can do all of the TERRIBLE, unrelated to Trump, things having to do with fraud, big loans, Taxis, etc., and not serve a long prison term?” the president said on Twitter. Cohen, once one of the president’s closest allies and a top executive at The Trump Organization, last week admitted lying in testimony about contacts with powerful Moscow figures over building a Trump Tower in Moscow. Those contacts, including with a top aide to President Vladimir Putin, continued throughout the first half of 2016 even after Trump secured the Republican nomination for president, Cohen admitted. Trump and his campaign have repeatedly denied talks on a deal after 2015, but Cohen told a court that Trump and members of his family were informed of the discussions which continued through the middle of 2016, just months before the presidential election. On Friday Cohen, who had already admitted multiple counts of tax evasion, financial fraud and campaign finance violations, asked the New York federal court for a “time served” sentence. He hasn’t spent any time incarcerated beyond the routine custody before each of his guilty pleas. Cohen’s lawyers said he had fully cooperated with Mueller’s investigation and would continue to do so, and deserved to avoid imprisonment. “Michael’s decision to cooperate and take full responsibility for his own conduct well reflects his personal resolve, notwithstanding past errors, to re-point his internal compass true north toward a productive, ethical and thoroughly law-abiding life,” the lawyers said in a court filing. Trump meanwhile lashed out at Mueller, whom he again accused of forcing witnesses to make up lies damaging to him. The president praised former political advisor Roger Stone, who has rejected allegations that he abetted Russian interference to help Trump in the 2016 election through contacts with WikiLeaks, which published stolen emails that embarrassed Trump’s Democratic rival Hillary Clinton. Trump cited Stone’s pledge to never testify against him. “Nice to know that some people still have ‘guts! '” Trump wrote.